For GP Access After Hours enquiries, phone our call centre on 1300 130 147 so our experienced staff can provide advice or if required, arrange an appointment at one of our five clinics. GP Access After Hours (GP Access) provides comprehensive after-hours primary care to the Maitland, Newcastle and Lake Macquarie regions of NSW. Established in Maitland in 1999, GP Access After Hours has grown to be the most recognised, quality provider of comprehensive after-hours care in the Hunter. 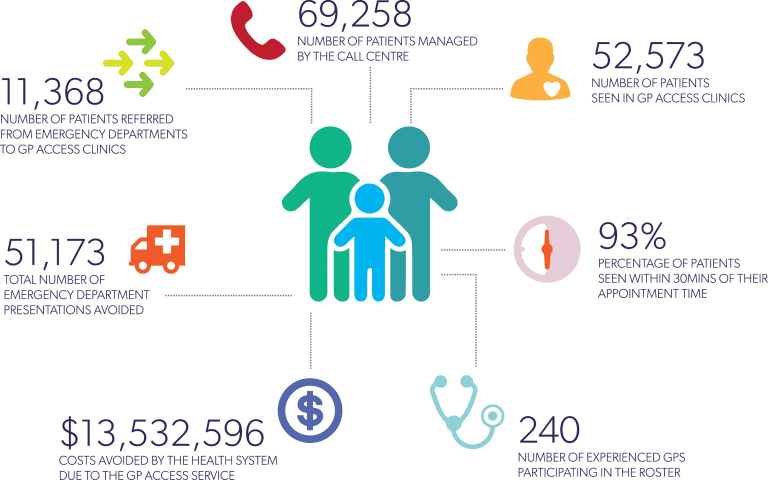 Our five clinics provide a valued service to our community that is not matched anywhere in Australia. The service is supported by around 250 qualified local GPs and a team of nurses, receptionists and other clinical staff. GP Access After Hours is an Approved Medical Deputising Service.